Location was ideal as most everything was within walking distance. Kitchen was nice and had basic needs. We were given a complimentary breakfast by the manager as compensation for a concern we had with the sofa beds. The breakfast was excellent and had a wonderful selection. The staff was very accommodating and addressed our concerns. It took some time but could be expected as it was a busy New Years weekend. We stayed for three weeks in a one room apartment. First of all - the staff was great, everyone starting with the cleaning staff, through reception and restaurant/breakfast and bar staff were extremely friendly and helpful. They were all great and we will miss them. On the practical side, centrally located hotel that is clean and has the needed amenities. Price value is ok. The facilities in the room were good, lift access was useful for the pushchair. Comfortable beds and a good location. Reasonable breakfast. Awesome choice for a few days in Frankfurt! Great amenities and location. Will certainly stay in an Adina again! 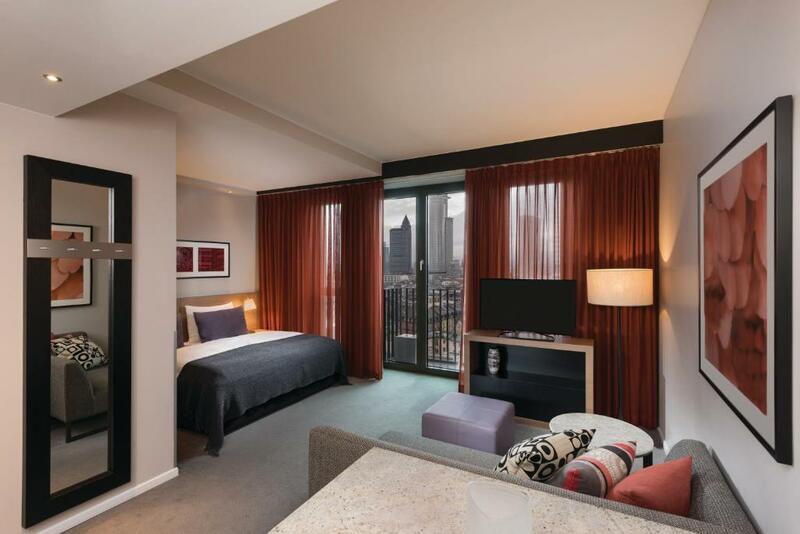 Adina provides large, spacious rooms with living room, bed room and a full equipped kitchen. Breakfast is good, offering large varieties and a comfortable sitting area. Location of the hotel is not excellent but very central and easy to reach. Bed comfortable pillows wonderful, extremely comfortable everything. Your staff Rex Ellen, friendly, helpful and efficient. So great to have a kitchen with everything one needs. I always enjoy shopping in the market, and bought food to prepare and eat in my most comfortable apartment. The washer and dryer an exceptional bonus! The bed was very comfy, just as I recalled from my first stay at Adina. 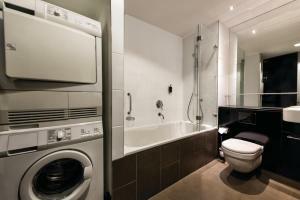 Top score for the bathroom, very clean and well equipped, and the view to Frankfurt's business district. Check-in was excellent. The woman who helped us was cheerful and very helpful. 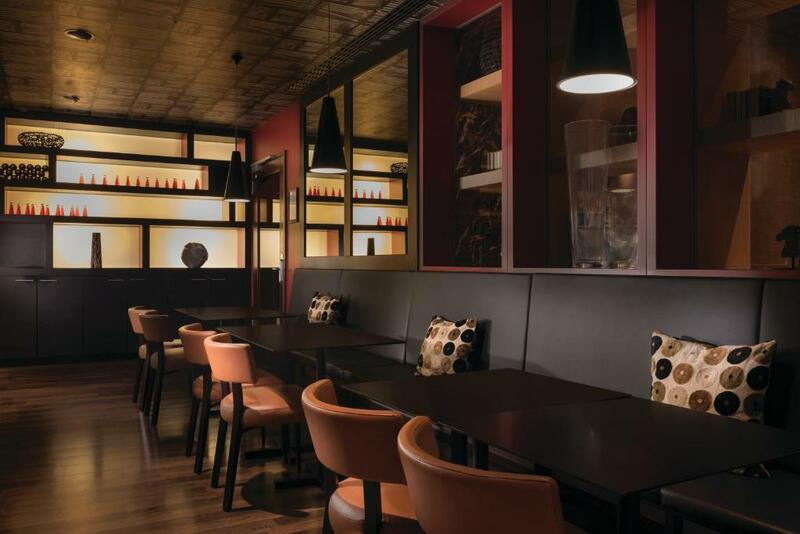 Lock in a great price for Adina Apartment Hotel Frankfurt Neue Oper – rated 8.7 by recent guests! 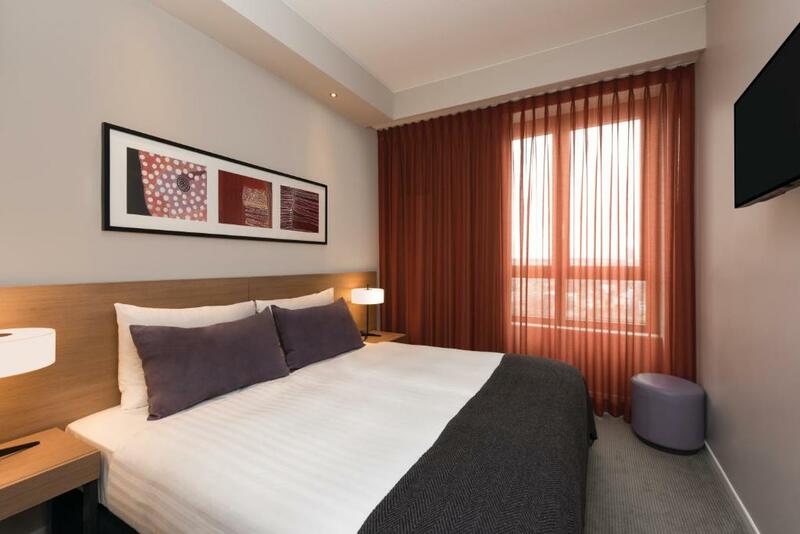 Adina Apartment Hotel Frankfurt Neue Oper This rating is a reflection of how the property compares to the industry standard when it comes to price, facilities and services available. It's based on a self-evaluation by the property. Use this rating to help choose your stay! Overlooking the Main River, this hotel features a free pool and gym, and elegant apartments with balconies. Frankfurt Central Station and the Zeil shopping street are just one subway stop away. The 4-star Adina Apartment Hotel Frankfurt Neue Oper provides air-conditioned apartments with stylish, colorful décor. 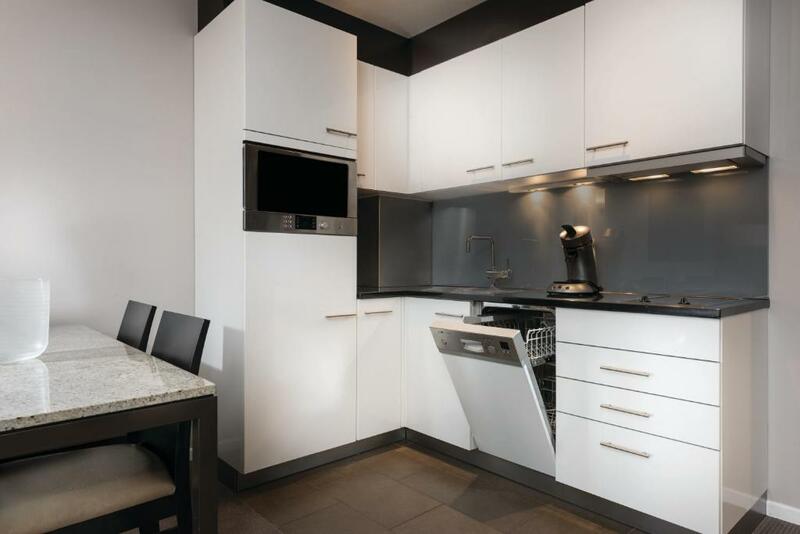 Each apartment has a kitchenette, a flat-screen TV and a laptop safe. The Adina Frankfurt is beside Frankfurt Opera House, within a 5-minute walk of the financial district and the historic quarter. Willy-Brandt-Platz subway station is a 4-minute walk away, and is on 5 different subway lines. 뀐 Located in the top-rated area in Frankfurt, this property has an excellent location score of 9.1! When would you like to stay at Adina Apartment Hotel Frankfurt Neue Oper? Separate bedroom and living room. Both have a flat-screen TV. Private parking is available at a location nearby (reservation is not possible) and costs EUR 26 per day. Flat-screen TV in both bedrooms and living room. There are 2 bathrooms. Apartments with a combined sleeping and living area. 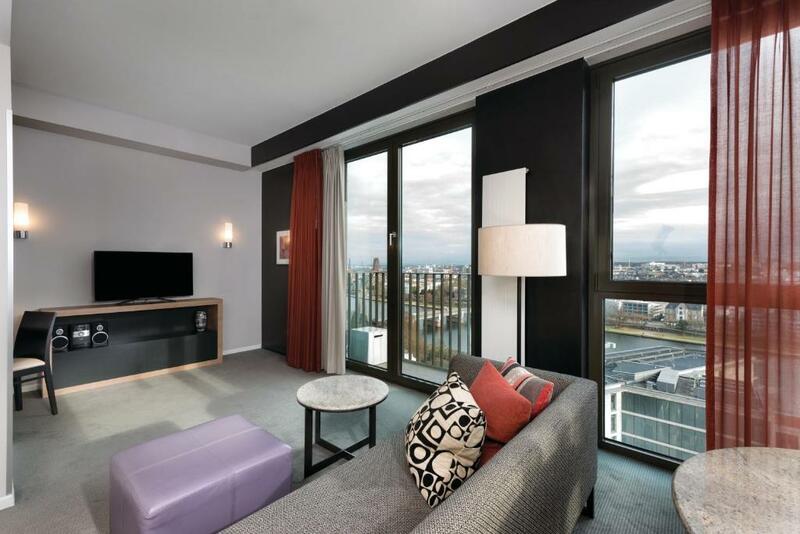 This apartment is on a high floor and includes a combined sleeping/living area, city view and newspapers. 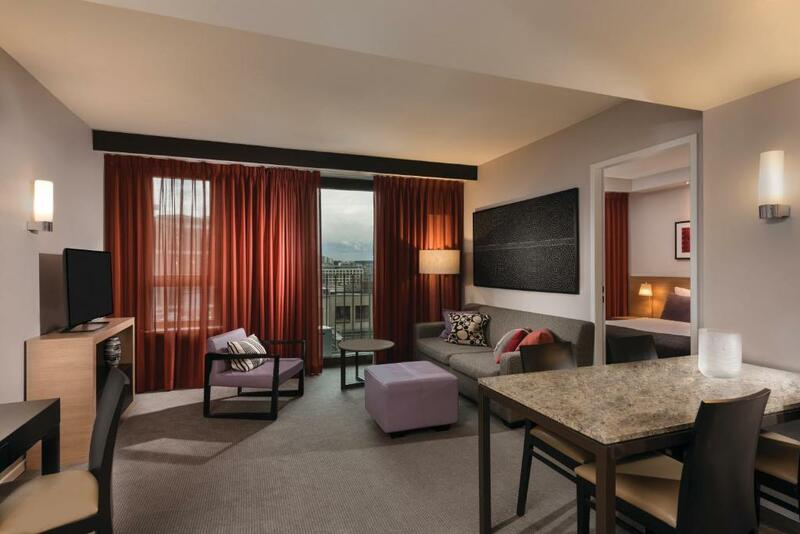 This apartment has a flat-screen TV in the bedroom, as well as one in the living room. It is on the higher floors, and a daily newspaper is also provided. 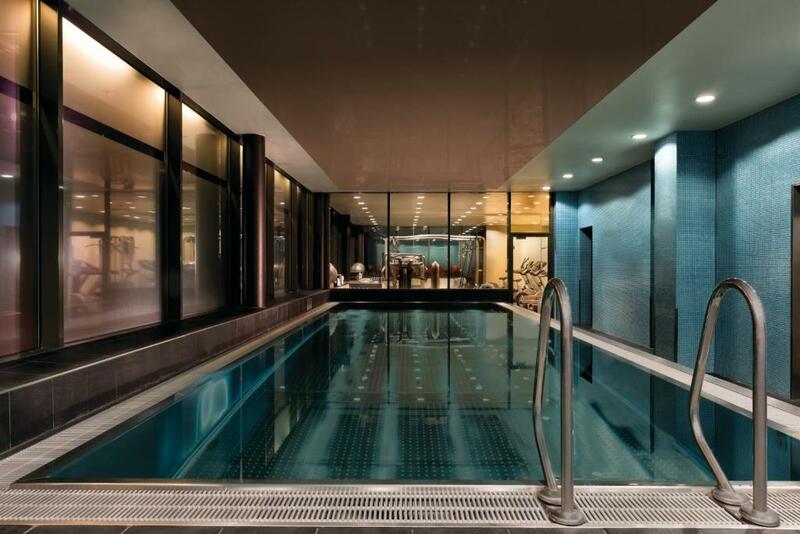 House Rules Adina Apartment Hotel Frankfurt Neue Oper takes special requests – add in the next step! Adina Apartment Hotel Frankfurt Neue Oper accepts these cards and reserves the right to temporarily hold an amount prior to arrival. Please note that free WiFi is available in the lobby only, charges are applicable in the guest rooms. Wonderful experience throughout, could not recommend the Adina Hotel more. Everyone was so friendly and helpful, we had a fantastic stay. Already booked another stay. Protests on Saturday prevented us from reaching the hotel. We're told the protests happen every Saturday, and the hotel clerk was very nonchalant about our inability to reach the hotel for over 6 hours waiting for the street blockades to be removed. Not a warm welcome to be sure. English directions for use of oven/microwave were missing. Adina Apartment Hotels is our favorite place to stay in while exploring Europe. We have stayed at 5 of the Adina Hotels in the last year. The Neue Opera in Frankfurt was added to our list of "places to return" The 1 bedroom apartment is spacious, walk in shower wonderful, the bedding and linens of high quality. Very comfortable beds. Kitchen facilities, and washer and dryer are a bonus for those who choose to prepare their own meals and who are travelling for a long period of time. Not to mention 2 TV's! Staff are very professional. helpful and efficient. Housekeeping staff take great pride in their work. Location was central to the Main Riverside Walk, the Old Town, the Central train station, public transit and an easy walking distance for those who like to walk. Teeboiler was washed with parfumed soap, tee took taste from it. Invetory of kichen should be better. 1 fork 3 knives,didn't match up. This was a lovely aparthotel. it was very clean and comfortable. We had breakfast on the last day and it was good. I made a reservation for five (all adults). When we got to the room, the sofa bed (for the fifth person) was not even made and the sheets/pillows/towels were not available that we have to call and ask. The shower has mold and mildew on the side of the grouting. The room was hot even when the thermostat was off. Great croissants and the location is superb! The beds were quiet firm... and the air conditioning didn’t go cold, making the room too warm of a night! The staff were lovely, very helpful and welcoming. The restaurant they have in the building had lovely food! Great spacious rooms with great little kitchen and fabulous bathrooms especially having two bathrooms made it even better. Parking was easy and safe in an underground parking garage. Easy to find location! Quiet area, never seemed to head much noise happening outside! The sofa bed in the room was absolutely unacceptable and a nightmare to sleep on. The kitchenette in the room was ill equipped with missing dishes. Not enough bathrobes for guests and housekeeping would fail to leave the right amount of towels in the room everyday. Great location within walking distance to the old part of town and shopping district. Nice rooms. Pretty good facilities. Front desk staff very helpful.